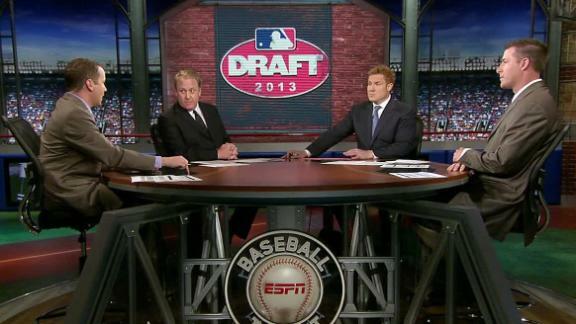 When a team select number one in the Major League Baseball draft they expect to be getting a big time player. However that’s not always the case. In fact, few overall number ones became All-Stars, let alone superstars. Here are ten players who bucked that trend and justified their selection. Drafted as a catcher out of the University of North Carolina, Surhoff had a decent rookie year as a 22-year old. However he spent the rest of his twenties as below-average major league hitter and one who would have little chance of making any sort of positive top ten list. But a series of moves — the first from catcher to third base and the second from Milwaukee to the Baltimore Orioles — seemed to awake Surhoff’s slumbering offensive game and he suddenly developed the hit tool and power scouts thought he had when he had been drafted number one a decade before. Any baseball fans know the story of Josh Hamilton. Drafted number one by Tampa Bay out of Athens Drive High School in Raleigh, North Carolina, Hamilton had all the talent in the world and started to show it during his first two years in minor league ball. However his career was derailed by drug and alcohol abuse and he spent most of the next five years injured or suspended. He was finally able to get clean and in 2007 Hamilton took the baseball world by storm as a rookie with the Cincinnati Reds. He was then traded to the Rangers before the 2008 season, where he became a perennial MVP candidate, taking the award in 2010. Hamilton signed a 5 year 133 million dollar contract with the Los Angeles Angels in 2013 and so far has struggled mightily with his new club. But even if Hamilton’s days as an effective hitter are over he still had six year run in which he was one of the most feared hitters in all of baseball, which is good enough for ninth on his list. 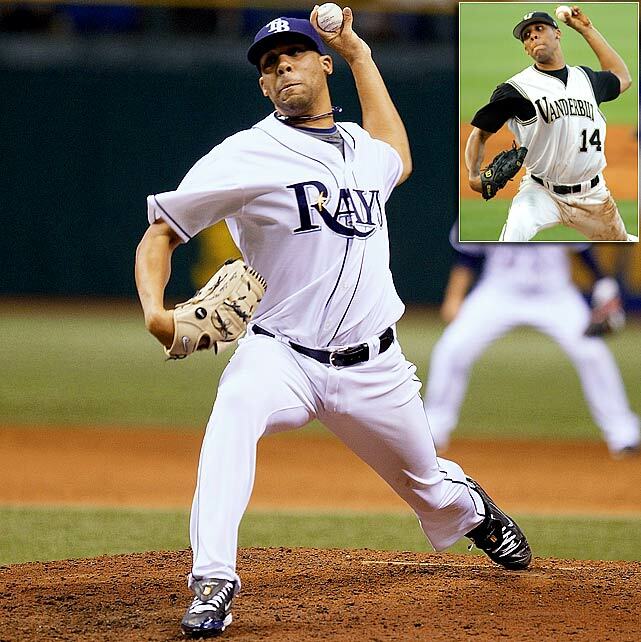 A tall slim left hander out of Vanderbilt University, David Price was the number one pick in the 2007 draft by the Tampa Bay Devil Rays. He dominated the minors in 2008 and was key part to the Devil Ray’s run to the 2008 World Series as a late season call up. He had a bit of a hiccup in the 2009 season but had righted the ship by 2010, a season in which he was runner up for the American League Cy Young award. In 2012 Price became a Cy Young winner, and is now considered one of the best pitchers in baseball. At 28, Price has a lot more pitching (and a lot more money) in his future. As it stands, he’s the seventh best first overall pick of all-time. With a little luck and a healthy arm expect Price to move up this list. Chicago White Sox’s owner Bill Veck first spotted Baines as a 12-year old Little Leaguer. Veck must have liked what he saw because five years later he made the high school senior from Maryland’s Eastern Shore the first pick in the baseball draft. Baines played for the White Sox three separate times during his 22-yea career, and also had prominent runs with Oakland and his hometown Baltimore Orioles. Upon his retirement, Baines ranked 10th in American League history with 1628 RBIs and seventh with 13 grand slams. The six-time all-star had a .289 lifetime batting average with 384 home runs and 2886 hits. Although he never won a World Series he hit quite well during his 120 postseason plate appearances. San Diego high schooler Adrian Gonzalez was picked first in the 2000 draft by the Florida Marlins. But his power didn’t develop in the minors quite like the Fish expected it to, thanks in part to a wrist injury, so the Marlins dealt him to Texas in 2003. Suddenly Gonzalez found his missing power and by 2004 he was in the big leagues. But Gonzalez struggled for his first two seasons in Texas and was dealt again, this time to the San Diego Padres. Maybe it was the home cooking, but Gonzalez immediately became one of the top sluggers in the baseball, knocking home run after home run in the Padres cavernous Petco Park. A free agent move to Boston and Fenway Park didn’t give Gonzalez the expected power surge, but he continued to hit for high average and be a solid middle of the order presence. He was traded again in 2012, this time to the Dodgers. If he stays healthy, the slick fielding first baseman should end his career with around 2500 hits and 400 home runs. Not bad for a guy who always seems to get traded. Attending the same St. Paul, Minnesota high school as Hall of Famer Paul Molitor did, Joe Mauer became the only person to ever win USA Today’s National Baseball and National Football Player of the Year award. The fairytale continued in the 2001 baseball draft when he was selected first overall by his hometown Minnesota Twins. Once in the minors, Mauer quickly established himself as the top prospect in baseball. And since getting the call up in 2004 Mauer has done nothing but live up to expectations. A six time all-star, three-time batting champion, three-time Gold Glove winner and the 2009 American League MVP, Mauer may one day make day an argument for the greatest catcher of all-time. That assume he sticks to the position, and there are many who think Mauer’s days behind the plate are numbered. 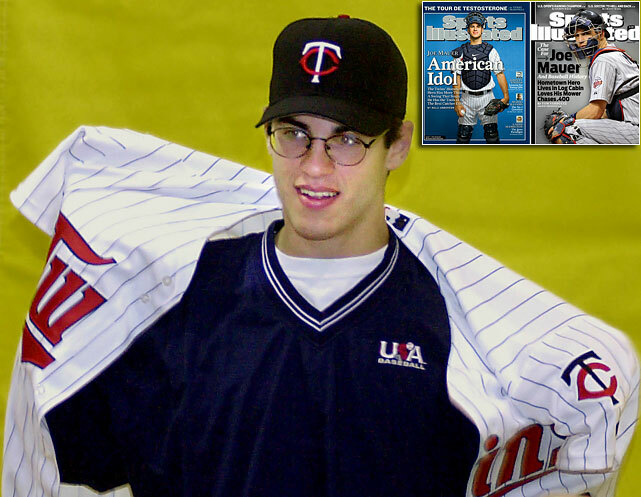 But no matter where he plays, just Mauer’s offensive prowess make him a worthy number one overall pick. The New York Mets made Darryl Strawberry the first pick of the 1980 draft. It wasn’t long before the 6 foot 6 inch outfielder showed the same prodigious power in the minor leagues that he had at Los Angeles’s Crenshaw High. Strawberry captured the Rookie of the Year in 1983 and made every All-Star Game between 1984 and 1991. While Strawberry was never a particularly great average hitter, he augmented his power with speed, going 30/30 in 1987 and exceeding 25 stolen bases five times. By the time Strawberry signed a big free agent contract with his hometown Dodgers in 1991 his skills were in premature decline, thanks to drug problems and eventually colon cancer. One of the most iconic and popular players of the ‘80s, Strawberry was at best a troubled role player in the ‘90s. Strawberry finished with 335 home runs and eight all-stars appearances. But the supremely talented slugger’s career will always be one of what could’ve been. The son of Reds’ all-star Ken Griffey, Ken Griffey Jr. was drafted first out of Archbishop Moeller High School in Cincinnati by Seattle in 1987. He was in the majors by 19 and his smooth left handed swing and even smother center field play quickly established “The Kid” as the most popular player in Major League Baseball. His career in Seattle spanned 1989 to 2000 and the all-around skill he displayed during that time period were on par with names like Mays, Aaron and Mantle. Expressing a desire to be closer to home, Griffey pushed for a trade to the Reds in 2000 and it was granted. That was also about the time injuries started taking a toll on the 13 time all-star. Thanks to poor health Griffey wasn’t able to reach 3000 hits or set the all-time home run record, two milestones that seemed very much in play around the midpoint in his career. Still, his 630 home runs and 2781 hits place him among the all-time greats and Griffey will take his place in the Hall of Fame when he becomes eligible in 2015. Drafting first in 1990, that Atlanta Braves wanted to select pitcher Todd Van Poppel. But with Van Poppel explicitly stating he wouldn’t play for Atlanta the Bravos turned to prep shortstop Larry “Chipper” Jones. This turned out to be quite the fortunate turn of events for Atlanta. Van Poppel quickly flamed out and Jones, who was moved to third base, became one of the greatest to ever play. Spending his entire career with the Braves, Jones became the face of Atlanta’s 14 straight division title dynasty, an MVP winner, an eight time all-star and the second best switch of all-time, after Mickey Mantle. While injuries denied Jones the chance at 3000 hits and 500 home runs he remained a highly effective player till the end, winning a batting title in 2008 at age 36 and posting solidly above average offensive numbers as a 40 year old. The soon-to-be first ballot Hall of Famer retired with a .303 batting average and 468 home runs. For his career Jones was worth 85.1 wins above replacement, 31st all-time among position players. You don’t have to like Alex Rodriguez. In fact, it would be odd if you do. A-Rod is a narcissist, a cheat and a weirdo. He’s also the best player to ever be picked with the first pick in the draft. And, really, it’s not even close. 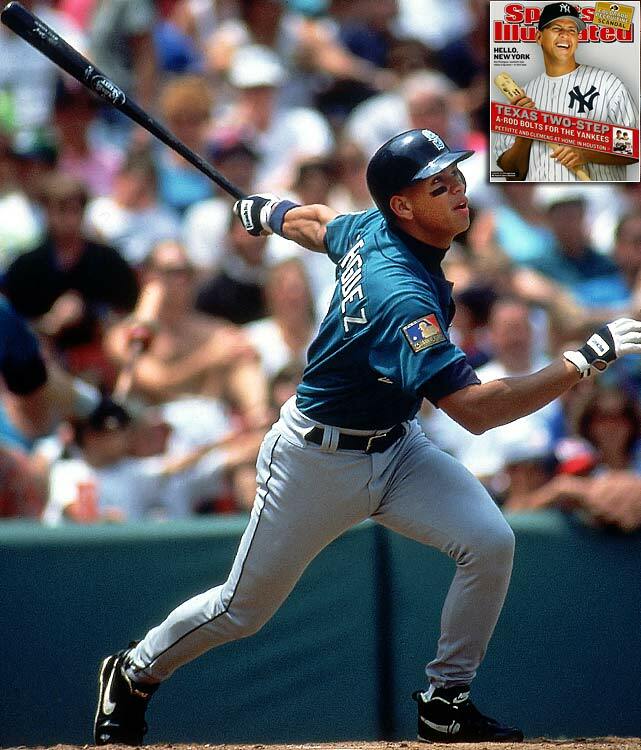 During his 20 year career with the Mariners, the Rangers and the Yankees Rodriguez has 654 home runs and 2939 hits. He has 14 all-star appearances, three league MVP and has posted 115.7 wins above replacement, 16th all-time. Whether A-Rod ever adds to his gaudy statistics has to do with lawyers and arbitrators. Whether he ever makes the Hall of Fame depends on how the voters eventually treat the steroid era. But we can confidently say, thanks to his on field performance, that Alex Rodriguez tops the list of best players ever drafted with the first pick.